Antony Gormley became a household name thanks to his Angel of the North statue near Gateshead. In recent years, though, he's received something of a backlash. Perhaps it's the ubiquity of his work — familiarity breeds contempt. Or maybe it's the perceived egotism of reproducing one's own body over and over again. Gormley has his own metallic clone army, with sentries in cathedrals, parks, beaches and town squares all over the country. London is particularly replete with Gormley installations. One of the latest is a Mayfair hotel room shaped like an 8-bit computer character, or a foetal Decepticon. 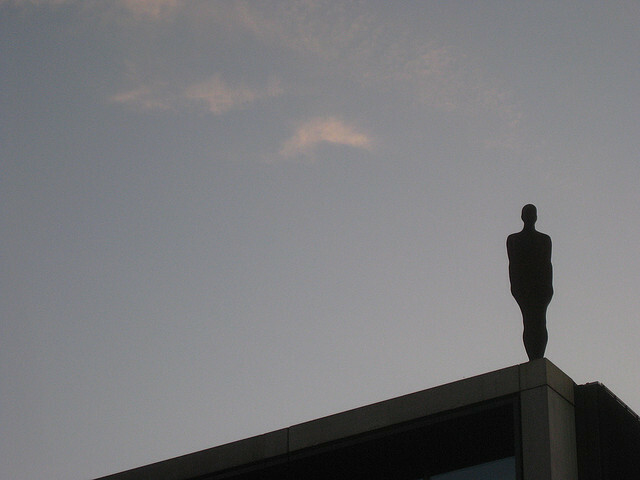 Here's our round-up of every Gormley we know about in the capital. One of London's newest works by Antony Gormley -- a humanoid hotel room at the Beaumont Hotel. 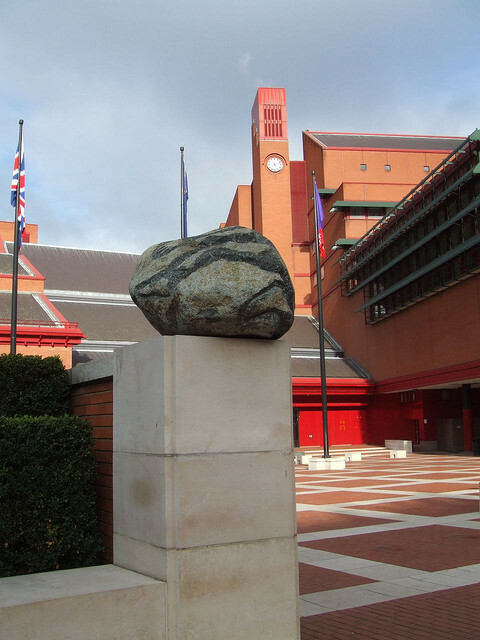 'Planets' can be found outside the British Library. Eight stones from different Ice Ages are embossed with the outline of human bodies. It was installed in 2002. 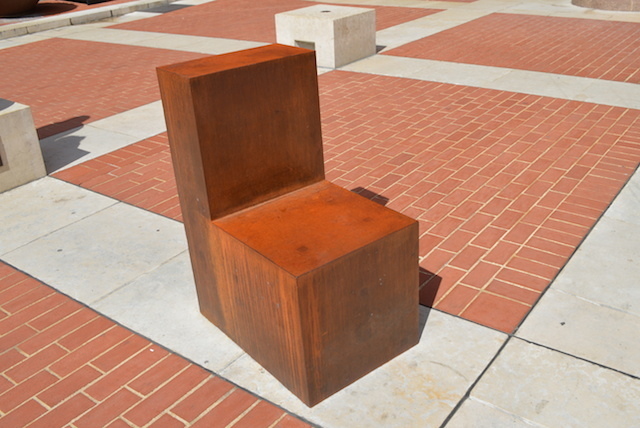 Perhaps the artist's most commonly seen but rarely recognised work is this unassuming chair in the forecourt of the British Library. 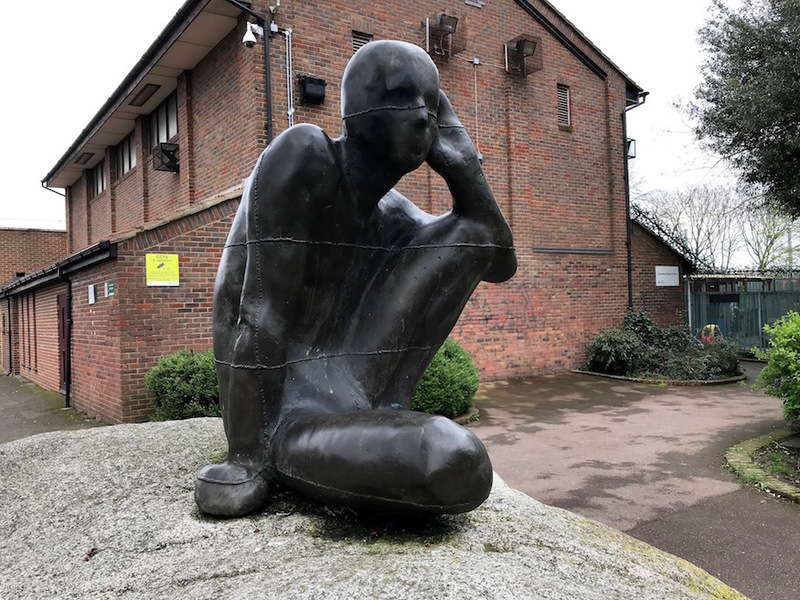 Commissioned for English Penn's 90th anniversary in 2011 is called Witness, and faces the artist's Planets sculpture also in the forecourt. Wellcome Collection on Euston Road has a permanent installation inside its foyer. The photobombing rabbit is a recent addition. 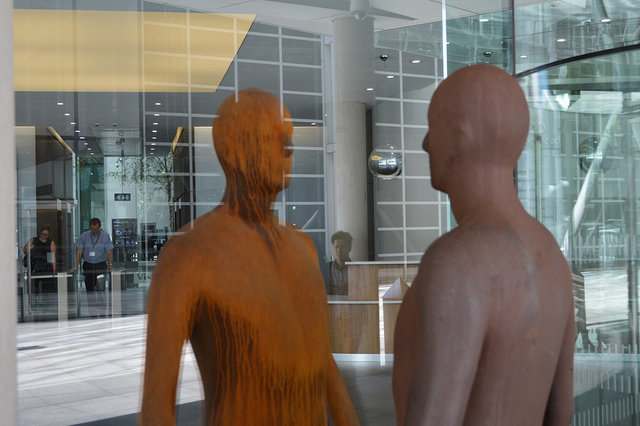 This 2005 double-piece, one inside the office, one outside, can be found in the Regent's Place development on Marylebone Road. The modern extension of the Roundhouse in Chalk Farm is graced with a rooftop Gormley. 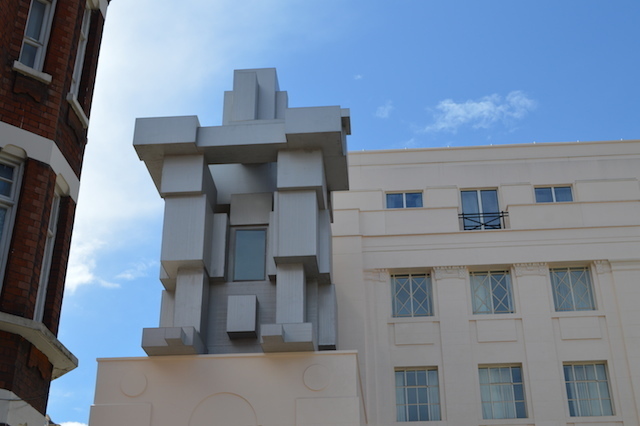 This blocky piece called Resolution was installed in 2007. It seems to come and go -- stolen on one occasion, then removed for roadworks. But it's usually there. 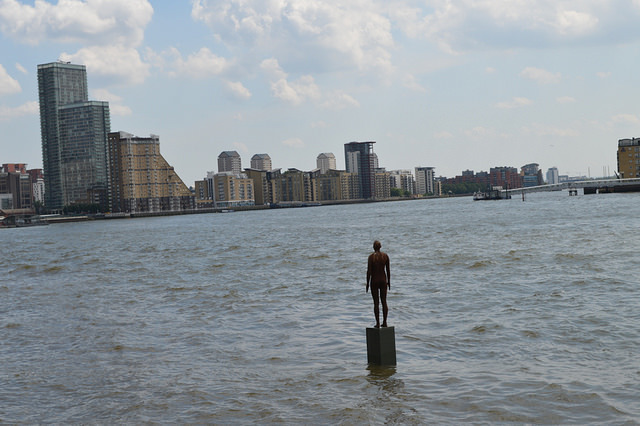 A Gormley in the Thames at Limehouse. This one, called Another Time, appeared in 2013. It was purchased by Sir Ian McKellen, who also part-owns The Grapes pub from which this shot is taken. 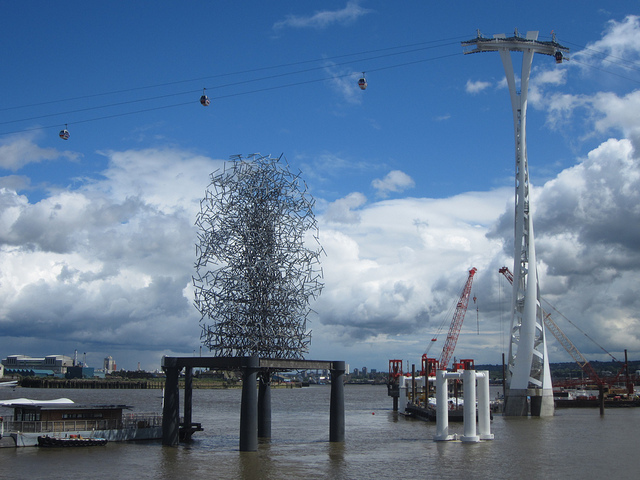 Gormley's Quantum Cloud (1999), previously an isolated, rarely seen piece, is now more famous thanks to the nearby cable car. 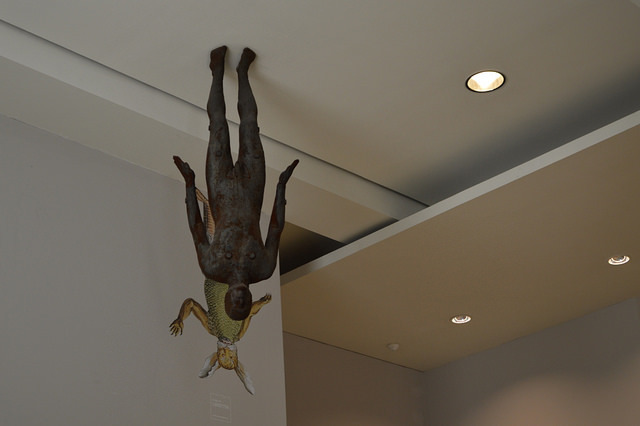 When viewed from the right angle, Gormley's body shape can be descried among the wires. 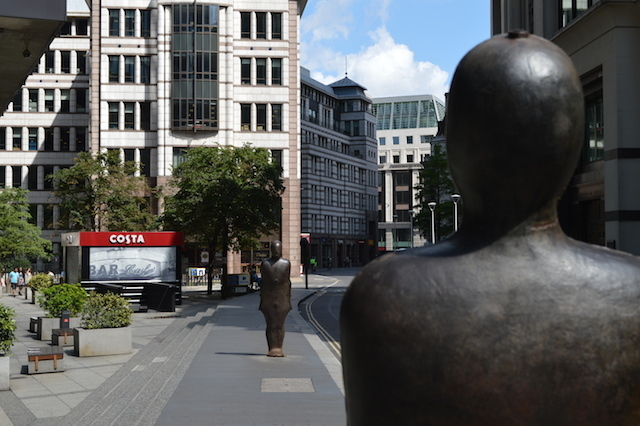 One of Gormley's earliest figure pieces, Parallel Field, was on temporary exhibition on St Mary Axe in the Square Mile in 2015. It's gone now. 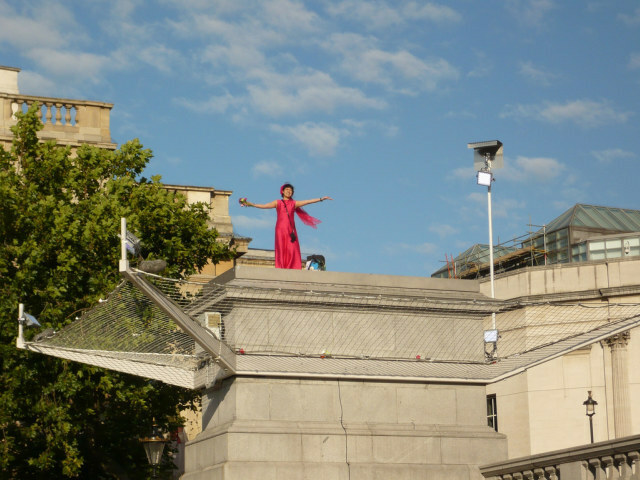 In 2009, Gormley was commissioned to fill the Fourth Plinth in Trafalgar Square in a project known as One And Other. He chose to fill it with us... Londoners... doing whatever we liked. Here's former Londonist contributor Hazel Tsoi-Wiles taking a turn. This Grade II-listed sculpture can be found in Maygrove Peace Park, half way between Kilburn and Whampstead. It shows a bronze man sat upon a glacial granite boulder, and is called 'Untitled [listening]'. 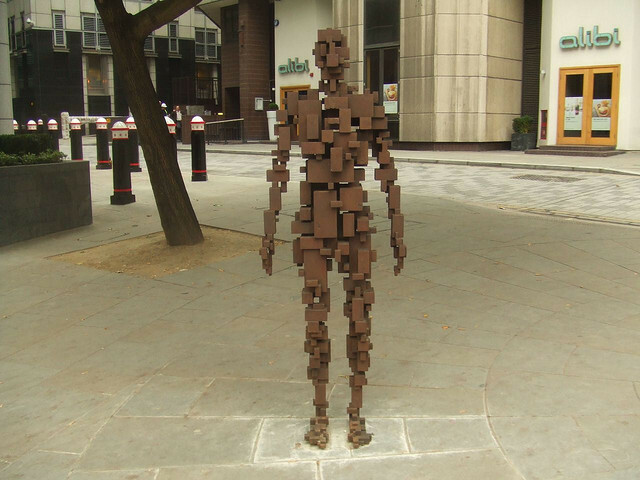 Note: to keep the gallery of images manageable, we've left out most temporary exhibitions and Event Horizon (2007), which saw 31 copies of Gormley's body dotted around the Southbank and Strand areas. 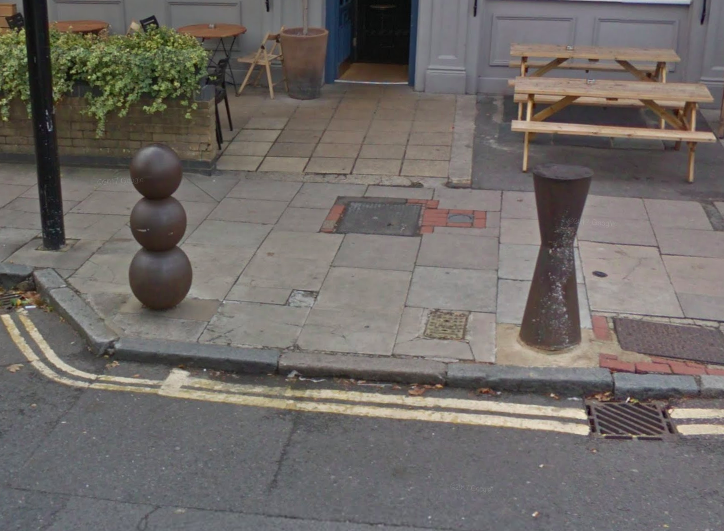 All images by the author except One and Other by Will Wiles and Peckham bollards from Google Street View.